The Department of Commerce, Ministry of Commerce & Industry of India was organized the 19th Edition of Reverse Buyer-Seller Meet under the banner of “INDIASOFT” – International IT Exhibition & Conference through Electronics and Computer Software Export Promotion Council (ESC) under the MAI Programme. The event was held during February 4-5, 2019 at Hyderabad. The programme provided encouraging foreign buyers to connect and network with Indian Industry to source their requirements in the ICT sector. 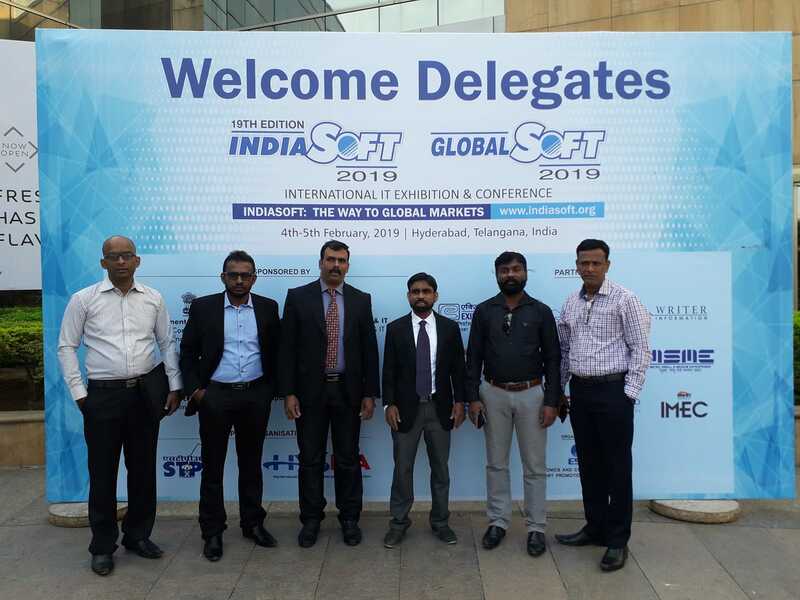 Indiasoft provided a usefulplatform for overseas buyers to meet over 200 Indian ICT companies under one roof and experience high tech products and services in various verticals of IT. Among more than 400 foreign delegates , six IT companies represented Srilanka through NCIT from Northern Srilanka had B2B meetings and collaboration with IT companies and other delegates .